Home parenting Why self esteem is important for dyslexic kids. Why self esteem is important for dyslexic kids. This post will explore why it is important to do everything that we can as parents to provide the space for our kids to grow their self esteem, especially if they are dyslexic. Our children's most loyal and supportive advocates have to be their parents. I know that this is not always the case and there are many stories of parents really not being there for their kids, but surely in theory, this should be true? 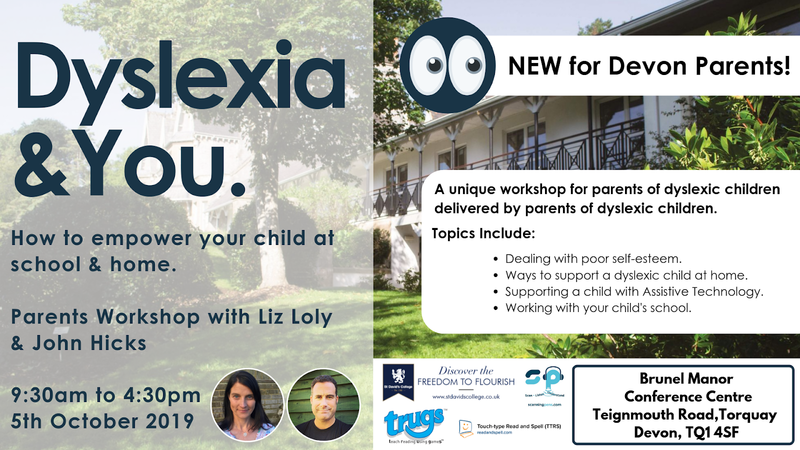 The support from parents for a child is crucial in building up their self esteem and if that child has dyslexia, then the job of the parents will have even more meaning. In my last post, I mentioned a scenario whereby the emotional experiences of the dyslexic child can resonate strongly with a parent who might have dyslexia (highly likely as it is believed to be genetic in most cases). This makes sense as we are emotional and empathic beings. We connect with each other on emotional levels in ways that we don't always find that we are aware of. It is this connection that can also cause problems for a child's self esteem too. I remember when my daughter was diagnosed with dyslexia and how I resonated with my daughter's diagnostic assessment report as some aspects in that report described how I behaved when studying. It didn't occur to me that I was dyslexic (and I still haven't had that assessment...) but immediately it set off two paths of concern for me. One for my daughter's support at school and the other about "What's going on for me?" In a recent conversation with teachers and parents, I discovered that in some families there can be emotional difficulties between a dyslexic parent and their dyslexic child. If a parent has dyslexia, it is likely that they didn't get the support that they needed twenty to thirty years ago ( I know that no one mentioned anything about dyslexia for me, I was just told I was too chatty ( aka not focused), intelligent but could do better (aka lazy?) ). I found that as time went on during my education and I found that as I put more effort in, I didn't get the desirable output of results. In some respects this was a painful experience for me. It made me feel not good enough compared to my peers. I literally held other people in higher regard to myself because I didn't believe that I had anything good to contribute. I was fortunate that my own learning style only partially conflicted with the one put upon me by my school so I did get reasonably average results, but my academic abilities were never going to set the world alight! For some, having dyslexia at school can be a massive barrier to learning if not supported and many years ago children would be punished for their lack of engagement rather than anyone ask questions about why they were not engaging. You can imagine that the psychological impact of those experiences for some would be extremely painful. So imagine then that you have experienced all of that and then left school. The world is slightly more accepting perhaps and you get yourself into a job and put the pain of education behind you. Then you have kids and one of them is having the same struggles at school as you had. This will absolutely push loads of emotional buttons for you and bring up memories and that is a huge burden. You love your child, but to engage in their pain means having to revisit yours, and that hurts. No wonder for some parents, they simply have to ask their partner to take care of it because it is too much of a burden to bear. What is the impact of not engaging in my child's dyslexia? At the very basic level, you are simply not engaging in a very important part of your child's life. This experience is life changing and if you are not able to engage in it then you are stopping yourself from helping your child to negotiate what could be one of the most challenging parts of their lives. Your child is not stupid. They will sense that you are not getting involved and will probably draw conclusions from it as to why you are not there in the midst of the turmoil of emotions that they are experiencing. They may feel like you don't care, especially if you have not explained what us happening for you. 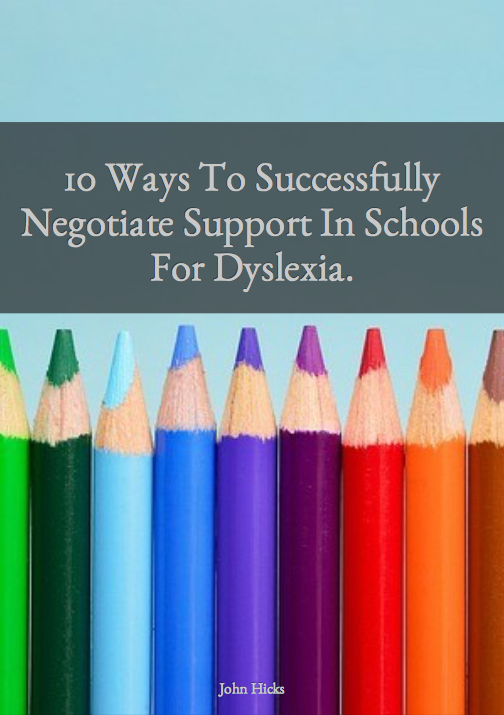 So what can I do to engage more with my child's dyslexia? The reality is, that you have experienced similar issues at school as your child. You will have built up strategies to cope, some of which are healthy and some not. You will have made mistakes and gained experiences that will be so valuable for your child to talk about with you, if, you were able to talk about them. But this is the key isn't it? Being able to talk about it is hard and perhaps doesn't feel safe. My recommendation to you is to seek help from a trained counsellor or life coach. They will provide you with a safe space to talk about what is happening for you without judgement and they will totally have your back and support you through the process of dealing with what is holding you back from supporting your child. My specialism is as a life coach and with my clients, we talk about what they would like to achieve and how we can work together to help them to get there. If the emotional pain is too much I would refer my clients to a counsellor but more often than not, being able to talk helps immensely and by talking I can help my clients to develop strategies to achieve their aims. I help my clients to control their emotions so that they do not disable them from doing what they really want to do. Those emotions don't go away, they are important, but my work brings a sort of balance between how we feel and what we what we want to achieve. My clients are able to be more self aware of their feelings and behaviours and manage them better so that they can be the best that they can be in supporting their children. If you are experiencing the issues that I have written about and would like to explore this further with me, then please do drop me a line by clicking here. Alternatively if you subscribe below, I will send you resources that will support you as a parent as you support your child.